Subtitled "The Government's Top Secret Pursuit of Mystical Relics, Ancient Astronauts, and Lost Civilisations"
It may surprise you to learn that intelligence-gathering organisations in the US and UK have actively investigated the kind of mysteries that many assume to be the stuff of cranks and conspiracy nuts. Strange... but true - as Nick Redfern's new book demonstrates. He has collated agency and government files released down the years and provides adequate evidence to suggest that there is more than a casual interest in such subjects as ancient astronauts, the location of Biblical relics, crop circles and paranormal phenomena associated with ancient sites. In the same way that UFO reports hold more credibility when reported by trained observers, one would be hard-pressed to deny that official interest in these mysteries doesn't strengthen the case for an underlying reality to these mysteries. 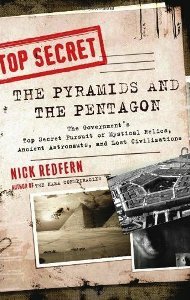 Although the cases presented in 'The Pyramids and The Pentagon' are many and varied, the first two cases are perhaps the strongest: the CIA's and NSA's interest in obtaining and translating apocryphal (and ultimately "religion-challenging") scroll fragments unearthed at the time of the Dead Sea Scrolls discovery; and the US government's interest in the alleged discovery of Noah's Ark, found semi-buried in the ice-cap of Turkey's Mount Ararat. Both stories are backed up by official documentation, as well as witness reports, and Redfern does a terrific job at weaving the various threads of the stories together to present a strong and lucid argument. As the book is presented chronologically, it is perhaps no surprise that the older cases offer more substance in terms of official documentation - simply put, older classified files are more likely to have been released by now, providing researchers like Redfern with more pieces of the jigsaw. "An equally notable statement came tumbling out of the CIA's archives in 2006, when a February 7, 1994 memo that originated with the Agency's Office of the Deputy Director or Science and Technology and that was dispatched to the CIA director, R. James Woolsey, was declassified. Those documents that have made their way out of the government archives, kicking and screaming, attest to the tenacity and lobbying power of religious organisations in the US. 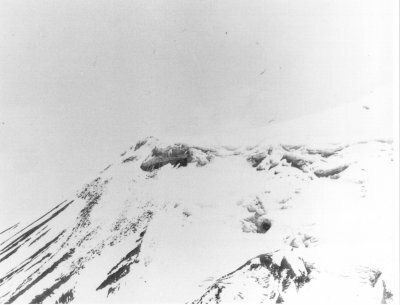 But there is also some suggestion that this 500' long Ark embedded in ice and snow may be something even more dramatic - that it is essentially the hull of a crashed UFO dating back to ancient times. The conclusions drawn by some is that the whole Ark story from ancient times may reflect an extra-terrestrial reality, based upon a seeding of Earth by aliens. Such concepts broadly tie in with the other contemporaneous investigation of Dead Sea Scroll fragments by NSA cryptographers, allegedly indicating that the authors of those ancient texts were conveying a reality of an alien/UFO presence on Earth. Interest in such arcane matters by intelligence agencies seems widespread. For instance, the US Navy went to some very considerable lengths and expense to obtain, appraise itself of and even reproduce Morris Jessup's controversial book "The Case for the UFO", in which the author proposed how ancient monuments were constructed by the occupants of flying saucers using levitation technology unknown to us. And it's not just monuments on Earth that excite the interest of officialdom. Indiana Jones may be fiction, writes Redfern, but it was remarkable how obsessed the Nazis really were in ancient mysteries; and there was German speculation about Martian pyramids long before the Face-on-Mars controversy. 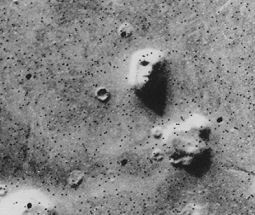 Perhaps in years to come, classified documents will emerge indicating how reconnaissance experts in NASA, and beyond, secretly pored over the Cydonia imagery sent back to Earth in the 1970s, evaluating the case for an ancient Martian civilisation. Given the history Redfern offers in this book, that scenario seems rather likely. Sometimes popular beliefs in the paranormal or ancient mysteries provided useful ammunition in counter-intelligence, and were employed by maverick military strategists to give their troops the edge on the battlefield. The alleged 'Project Blue Bean' may have been an extreme example of this, and it's also possible that some military 'UFO' incidents were experiments of some kind, carried out on their own people. That the military was capable of such experiments in the past has been officially acknowledged, e.g. Porton Down. Was Rendlesham Forest such a case? wonders Redfern. The military certainly seemed interested in reports of visionary experiences, particularly when associated with ancient sites. This is a well written and thought-provoking book that shines a light on covert interest within various government agencies on the subject of ancient mysteries. Books for review can be sent to Andy Lloyd at the author/publisher's own risk.